Image Size: 33 x 21 in. Paper Size: 33 x 21 in. 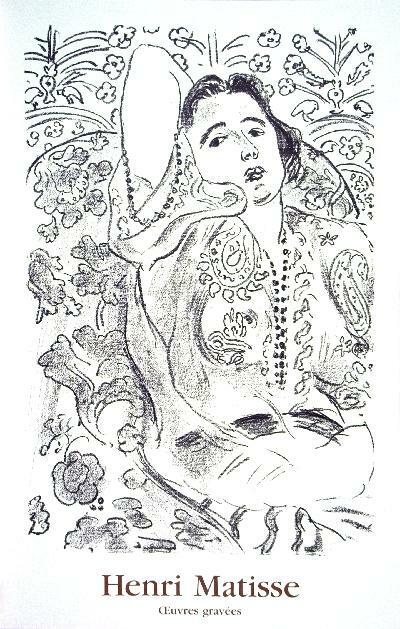 Matisse-Arabesque, This is a wonderful exciting Offset Lithograph. Original exhibition Poster for Portraits at Jablonka Galerie, Berlin 2007.Open edition reproduction of Arabesque, 1924 by Henri Matisse, printed on Velin paper. Featured in several important published works on the artist. Limited Edition features sophisticated brilliant color tones in this print, excellent! Click the button below to add the Matisse Arabesque to your wish list.